I don't know about you, but I always have the hardest time deciding what desserts we should have for Thanksgiving. I know that pumpkin pie is always a favorite, but sometimes it can be a little too predicable. 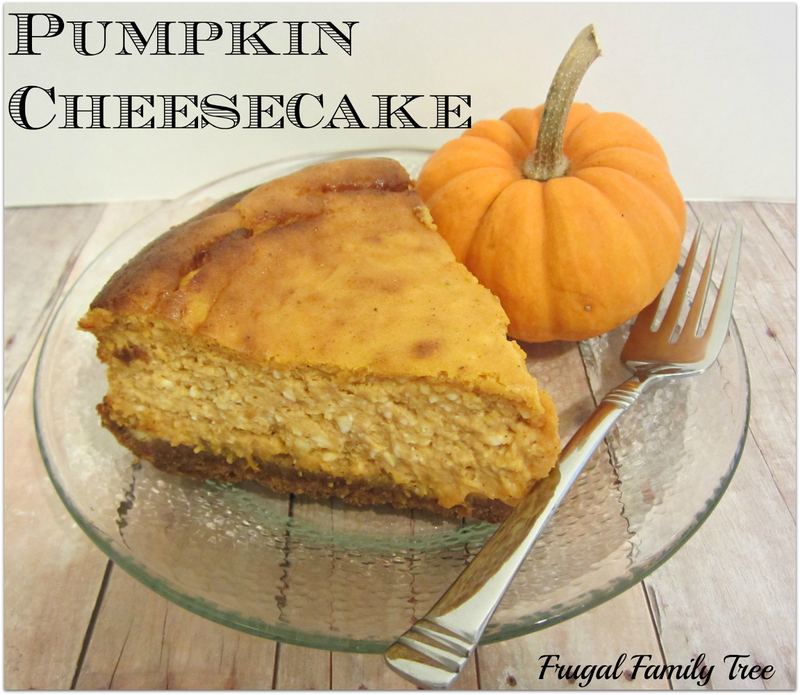 Last year my daughter Samantha made this delicious pumpkin cheesecake and shared it here it on the blog. It's well worth re-sharing, and I'm going to be making it for Thanksgiving this year. The recipe is pretty easy and the results are amazing. It went quickly and our family loved it. It serves about 10, depending on how you slice it. And your kitchen will smell delicious as it bakes!